"Hi! 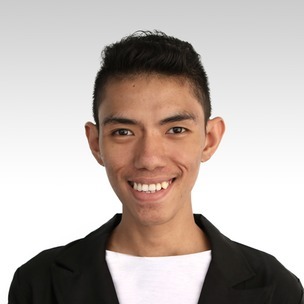 I'm Paolo B. Usman, a fresh graduate, taking up Bachelor of Science in Office Administration at the University of Cebu-Main Campus. Since then, I really wanted to work in an office setting. Working in an office is like teaching too. You encounter diverse people and you learn a lot from them as well. It’s like teaching, you don’t just impart knowledge, but you will also learn from your students too. It’s a two-way process. In my 4 years in college, I had 3 years of being an active student leader (1st and 2nd-year college) to be exact. I'm the Office Administration Representative in one of our school organizations. Being a Student Leader is not an easy task because you serve your fellow students with passion and dedication. You serve as their ears, eyes, and mouth in school. Time management is the very important tool to become a successful student leader, you need to consume your time properly in order to finish your tasks beforehand and because of perseverance. I really wanted to be an ESL Instructor. For me, everyone can be a teacher as long as you have the dedication, passion and the determination to teach your students. A teacher is not just there to teach but also to inspire student’s life. I’m so lucky working here in Glats Inc. because I finally found the home of the best ESL Instructors. I'm so excited and honored to teach Japanese students because I want them to know that learning English is not difficult, English can also be fun, interactive and easy to learn with, with the help of the teacher. According to Mustafa Kemal Ataturk, " A good teacher is like a candle, it consumes itself to light the way for others." I hope you will book in my class so that I can help you in achieving an effective and efficient way of learning English. Listening to music, Watching TV, Playing Volleyball, Reading books.